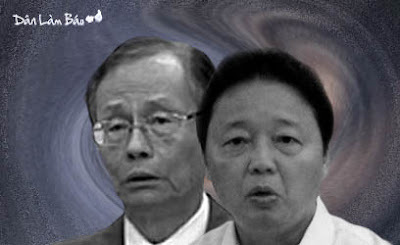 Người Quan Sát * Translated by P.Thao (Danlambao) – Formosa has admitted its mistakes, but hasn’t pleaded guilty. Nor has this corporation claimed the volume of the toxics dumped at sea and what those substances were. The Party has agreed to receive the compensation, but is unaware of how serious the damage to the economy, health and lives of those affected is. In addition, insistently the Party has neither admitted the mistake nor pleaded guilty to the incident whereas the causes of the mass fish deaths had been detected months before. Worse still, the Party ignored the official warnings concerning food poisoning and let locals go fishing on the sea. Only the local people - no one else - who played the dual roles of both victims and spectators and finally suffered the the Formosa Fish Deaths tragedy. The official answer came in the afternoon of June 30th, 2016 when the agencies concerned publicly announced the causes which led to the mass fish deaths in the four coastal provinces in central Vietnam. “Formosa was not in any way trying to escape its responsibility since we pointed out 53 violations ranging from defects in designing, constructing and operating their facilities. The key clues were the figures dicovered in power consumption: From April 1st to April 5th, electricity consumption fell unusually, accounting for only 15 % of the daily average. This aroused our suspicion of something problematic in the testing process at Formosa Ha Tinh. Formosa Ha Tinh is a factory invested considerably with USD 10 million. And the question is whether the environmental disaster was triggered by a short-circuit incident at a 10-million-US dollar factory? Currently, Formosa is in its testing stage, so it is not operating at full capacity. So, let’s imagine what would happen in case of a similar short-circuit incident when the facility operates at full capacity? Perhaps Formosa’s environment-destroying record in other countries is something unheard of. In 2009 an environment-conscious German organization, Ethecon Fund, claimed itself to be an organization for the sake of ethics and economy, chose Formosa Plastics and its management and presented it with the “Black Planet of 2009” award for its record of discharging toxics to the environment in many locations in the world. In the USA for instance, Formosa facilities were found to have buried harmful waste materials in the ground, polluting the underground water and even dumping noxious substances into the Mississippi river. Despite its considerable contribution to the economy and industrialization of Taiwan, Formosa has become “well-known” for its trade mark of destroying the environment. The above paragraph, read by those knowledgeable about marine ecology, can be simply put as follows: “The waters where the catastrophic mass fish deaths happened in April recently is now a dead sea. Once passed by ocean currents and underwater, the contaminated sea water is not easy to control. In the next few years, it remains to be seen whether those who ate the fish and bathed in the polluted sea are medically consulted and given proper health care, like similar victims in other countries? Also, in the next few years, will there be any dignitaries who can guarantee the safety of the huge waste pipe lying on the seabed in Vung Ang? After “admitting the mistakes” in front of the Party and the government in a press conference, this infamous corporation timely confirmed that “the facility will continue to operate in any circumstances.” This can be considered as an open challenge to the Vietnamese people (3). USD 500 million, equal to VND 11,000 billion, is the compensation the Communist leaders received “on behalf of” the Vietnamese people regardless of Formosa’s environment-destroying records. The 10-billion-dollar facility is unlikely to be closed down since the money to grease the wheels paid to officials at all levels - from central down to local – to give the green light to the project cannot be refunded. Thus, the performance to “admit the mistakes” is just a prelude so that the Communist party will carry on benefiting on the back of the Vietnamese people – those who will continue to suffer disasters owing to the authoritarian leadership and governance of the Communist party.